Caralyn Stern, Sophos senior marketing director of Global Channel and Americas, has more than 20 years of technology sales and marketing experience. 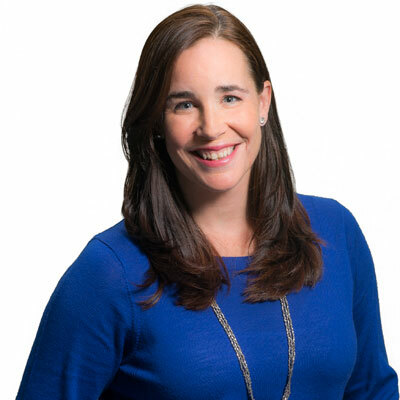 Caralyn joined Sophos more than four years ago to lead field and channel marketing for the Americas and helped to create and launch the Sophos 5-star partner program. Caralyn concentrates on generating awareness for Sophos' award-winning network and security solutions and supports Sophos' channel-first business model by providing partners with world-class marketing tools and support and a steady stream of demand and enablement programs. Prior to Sophos, Caralyn held senior leadership and marketing positions at endpoint security vendor Carbon Black and encryption start-up Ziptr. My global channel marketing team and I provide Sophos partners with the innovative programs and resources they need to achieve record business growth, including certification and enablement incentives, MDF programs, concierge marketing services, partner briefings and roadshows. Driving the expansion of Sophos' channel partnerships in the Americas, EMEA and APJ regions, my team has strengthened the consistency and thoughtfulness of Sophos' partner programs across the globe. It's also really important to me that partners feel like they have a voice in Sophos' partner programs. I consistently work toward applying feedback from partners via the Partner Advisory Council and other avenues to Sophos' global channel programs and resources. I truly believe we are putting the best security products in the world into the hands of the finest security partners, and I consider it my job to be sure they have all the information they need to seize this opportunity - powerful product collateral and videos, SophosLabs threat insight and partner briefings and training. As part of Sophos' channel-best commitment, my goal is to give our partners accurate and actionable competitive intelligence on our award-winning products, so they can differentiate themselves as trusted security advisors and defend more customers against threats that evade traditional endpoint and network security. This last year, I was asked to expand my role as head of Americas marketing to also lead Global Channel marketing at Sophos. This was a fantastic opportunity for me to continue working with a region and team I love, but also work more closely with Kendra Krause, Sophos vice president of Global Channels, to drive clarity, consistency and excellence for our partners worldwide. Additionally, I was proud to stand on stage with my female Sophos colleagues - eight in total - as a 2017 CRN Women of the Channel award winner. Looking back on 2017, I am humbled to reflect on the bravery, strength and will of the many women who stood up for themselves and each other. From the Women's March, to the gymnasts confronting their abuser, to the whistleblowers in Silicon Valley, to the #TimesUp movement, and more - this year provided countless examples of women speaking their truth. I wouldn't dare try to give my 16-year-old self any advice. It's pointless to try to give advice to a young woman who thinks she already knows everything. My mother was a saint. If by some miracle my 16-year-old self would listen, I'd tell her to go dancing and to live shows more often; it's money and time well spent. I'd also implore her to stop drinking Diet Coke, as it will own you one day. Lastly, be grateful for the young girls you call friends; they will become amazing women and still be your heart and home decades later. I would love to master video creation. I think increasingly people are consuming their information via video and I so admire my colleagues who can use this tool to effectively convey complex information with the powerful combination of graphics, images, voice and sound. I'd have to say the literary highlight of my year are the evenings I have spent introducing my boys to the Judy Blume Tales of a Fourth Grade Nothing and Super Fudge series. I love reading with them and seeing them develop their own love of reading - literally laughing out loud at the ridiculous journey of books' characters.